AMD recently revealed architectural details of the upcoming Vega GPU, but many people were disappointed that AMD is not ready to launch it yet. Will it matter how fantastic AMD Vega is on paper if it’s nowhere close to reality? The good news is AMD appears to be close to the final silicon. In fact, at the AMD Tech Summit in Sonoma, we were shown an AMD Vega prototype running DOOM on Vulkan. Billy Khan from id Software also came to vouch for the performance and stability of the latest Vega silicon. 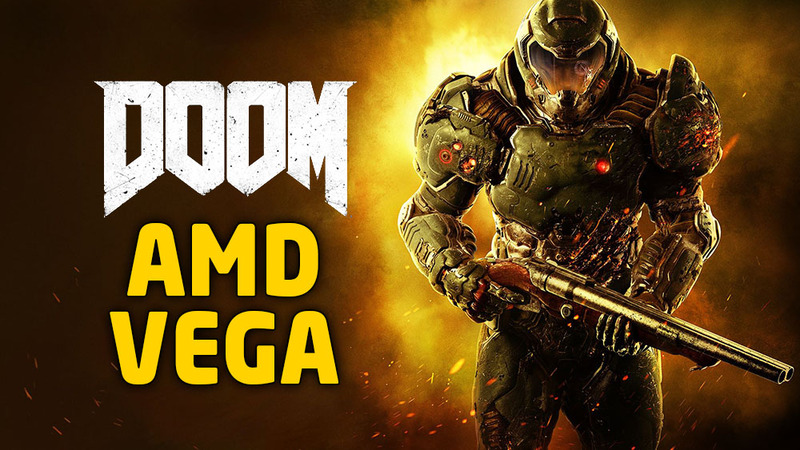 AMD showed off this Vega prototype running DOOM at the 4K resolution of 3840 x 2160, using the Ultra Quality preset. DOOM was running with the Vulkan upgrade, of course, which allows for asynchronous compute. The video shows the Vega prototype deliver frame rates of 60-70 fps, with an average of 65 fps. We tried to take a closer look inside the chassis to catch a look of the AMD Vega graphics card, but it appears to be well-shielded from our view. All we can say is that the card appears to be rather quiet… at least it was not audible in the hubbub of the room. Right now, AMD will not reveal how close they are to the final silicon. Only that they aim to launch Vega in the first half of 2017. For more information on AMD Vega, take a look at our AMD Vega GPU Architecture Tech Report. Previous : The First AMD Naples + Radeon Instinct Reference Design Revealed! Next : Be A Lego Toy Designer Through The Lego Friends Contest!